The weather is changing and as the cold weather increases every day, we make allowances by keeping doors and windows closed, laying that extra blanket on our beds or even that warm rug by the fireplace. It’s also around this time that drafts become apparent in our homes, especially in the older Victorian or Georgian builds where it can feel like streams of cold air have a life of their own and you’re never quite sure where the source is. It’s important to check all insulation, especially doors and windows. You may already have double glazing but sometimes, if its been badly installed or a very old design, they can start to become inefficient, eg the sealings get worn or the framework becomes rotten or contracts. Its a good idea to check the edges and framework for drafts, remembering that even a small leak of air can cause a significant heat wastage and will get even worse eventually. My own home has been double glazed or at least what I thought was the most significant windows in the house, eg. Living room, kitchen and bathroom. The hallway and utility room, both with much smaller windows, however, have been overlooked, yet recently I’ve found myself regretting this as I can feel steady, cold streams of air travelling through my hallway snaking around my ankles as though it has a life of its own to meet the gap under the door of the utility room window. It’s a very distracting and irritating phenomenon and like living with a ghost. There are two different ways in which a draught can occur, both phenomena are called pressure and suction. For instance, when the cold winter winds begin to blow against our homes, it creates a pressure difference between the outdoor and indoor air. This pressure difference produces a suction effect that pulls at warm air. Therefore if there are small gaps in your walls, window or door frames, the warm air gets pulled through them and out of our houses. What happens next is the cold air squeezes itself in the place of the warm air and creates that cold draught we can feel when trying to relax in front of the telly. Yup! Winter actually does steel warm air from our homes. To keep on top of this energy thief, we need to check the door frames of any doors that lead to outside, especially back doors or porch/patio doors. Check the bottom of the door as well as the frame itself as like window frames, doors can come slightly unseated over time, creating the little gap heat needs to escape. If you have a fireplace, this can also let warm air out, even if its not in use. If it feels colder around your fireplace, it may be because warm air is getting sucked up and out through the chimney. Closing your flue whenever a fire isn’t burning will help. Remember: heat can escape through even the smallest of gaps. Check lighting fixtures and power outlets to make sure they’re as flush with the wall as they can be. If your power outlet is loose at all, it could be letting heat leak out through it. So this Autumn it’s probably a good idea to check all our windows and doors and get on top of the draft ghosts in our houses, as despite making us very uncomfortable, it greatly compromises energy efficiency because when cold air finds its way into our homes our heating has to work much harder by having to pump in extra hot hair. Therefore sorting our draft sources out, will save us a giant fortune in the long run. 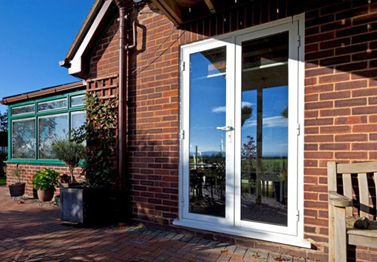 For more information on all our double glazing options, contact Brighton Trade Windows today. Do Your Windows Need Repairing? Like any home improvement, your windows won’t stay shiny and new forever. At some point in their life span, they may need repairing or replacing. Of course, replacing or repairing your windows can be a big job, so you don’t want to do it unless you have to. Here’s how to know if you need window repairs and what to do about it. This is the most obvious sign that your windows will need repairing. If there are scratches, dents or chips in the glass, this could be for a number of reasons. It could have been done while the windows were being washed, or it could be thanks to debris being flicked into them by passing cars. It can ruin the integrity of the glass, though, so you’ll want to get it replaced sooner rather than later. If you’re getting condensation between the panes of glass in your windows, then that can be a sign that the seals have broken. It allows air to condense in between the panes of glass, causing the fogging that you see. This is a problem, but it doesn’t mean that the whole window will need to come out. The affected portion can be repaired, prolonging the life of your windows. If you’re feeling drafts near your windows, then there will be a crack somewhere around the edges of your windows. You may be able to see this yourself, or you may need to call in window repairs�- Brighton based to take a look at it for you. These cracks may be easily filled up without having to replace the windows, saving you cash and the hassle of having the windows changed. You may have windows that are hard to open, or otherwise stubborn. If you’re having these problems, it could be for several different reasons. The tracks may be broken or dirty, the hardware could be faulty, or sashes could have been painted shut. If it’s a case of dirt, you can clean up the system and try your windows again, as this often can solve the problem. If not, or you’re not sure why they aren’t working, it’s best to call in an expert. Of course, you want to save money and take care of the window you already have. In many cases, repairing them may be the best solution. However, it’s worth remembering that your windows are essential to the security and comfort of your home. If there are multiple issues, then it may be best for you to have them replaced entirely. The best way to know for sure will be to have a window repairs – Brighton based expert come and check them out for you. If you’re seeking window repairs in the Brighton area, call on us at Brighton Trade Windows. We can repair broken windows and replace them with brand new ones if need be. Christmas is just around the corner, which means you�ve already got the heating on and the fires lit. But does your house still feel draughty and cold? Check out the windows. Around 30% of your�home�s heat is lost through the windows. If your windows need replacing, then now�s the time to do it before the really cold weather arrives. Don�t leave it until spring or you�ll be seeing the money you spend on heating over the next few�months flowing straight out of the windows. If you�re still determined to put off the inevitable, here�s 5 good reasons why you�d be better off�replacing your windows before Christmas. Replacing your old windows with energy efficient double glazed panes can dramatically reduce�your utility bills. And if your pay packet is topped up with a Christmas bonus, you can use the extra money to take�the sting out of the initial installation costs. Older, single-paned windows become brittle over time and break more easily. We all dream of a white Christmas but if the kids are having a snowball fight outside, a mis-aimed�throw at the windows could easily crack or shatter fragile panes. Also snow build-up on your outer sills can end up creeping in through cracks and gaps in the framework, leading to mould and�mildew problems. Santa isn�t the only one who likes to visit at Christmas. Presents under the tree are a common target�for opportunistic thieves at this time of year. Single-paned windows are easier for intruders to break, and original catches on sash windows are so�easy to open, a child could do it. 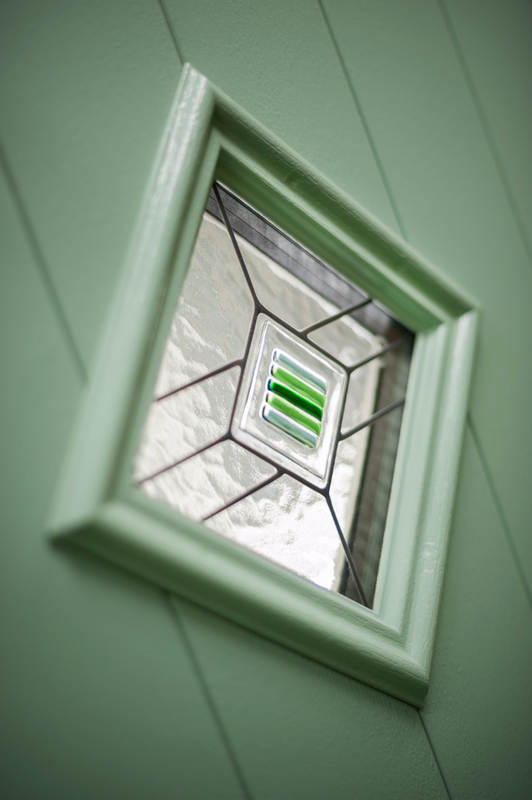 Double glazed glass is toughened and makes a great crime deterrent. New windows also have the�added security feature of built-in multi-locking systems. If you�re expecting a houseful of guests this year, the best way to give an old and tired looking�house a makeover is with new windows. Your home will look beautiful, warm and welcoming. Selling your house over the Christmas period has its advantages: there�s less competition on the�market and buyers will want to close a deal before the new year. New windows can help increase�the re-sale value of your property. Once you�ve had your windows replaced, you can sit back and enjoy a merry, warm and safe�Christmas! For more information on our window replacement Brighton service,�contact Brighton Trade Windows today, or alternatively visit us online for more information. 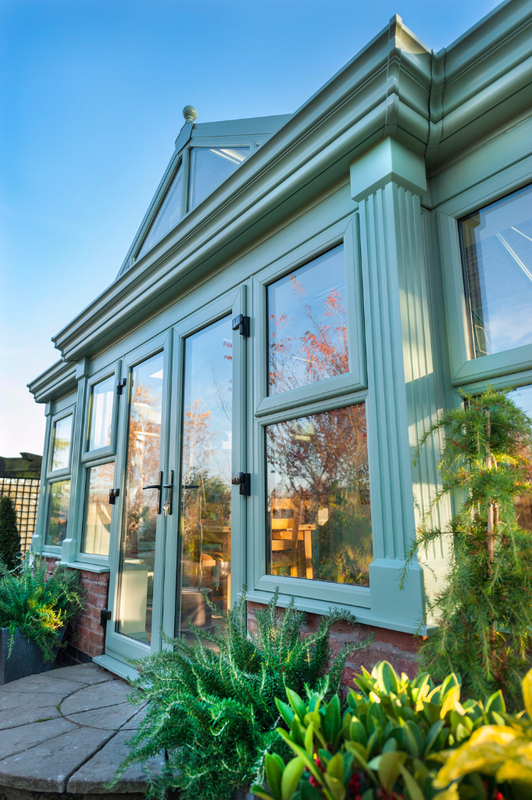 When designing conservatories, beauty is first�but never at the expense of structural integrity. Our joints and bolts are minimized to promote cohesiveness that results in less moving parts. This makes our designs incredibly sturdy. Colour means creativity.�And, there�s no such thing as a conservatory that isn�t creative. 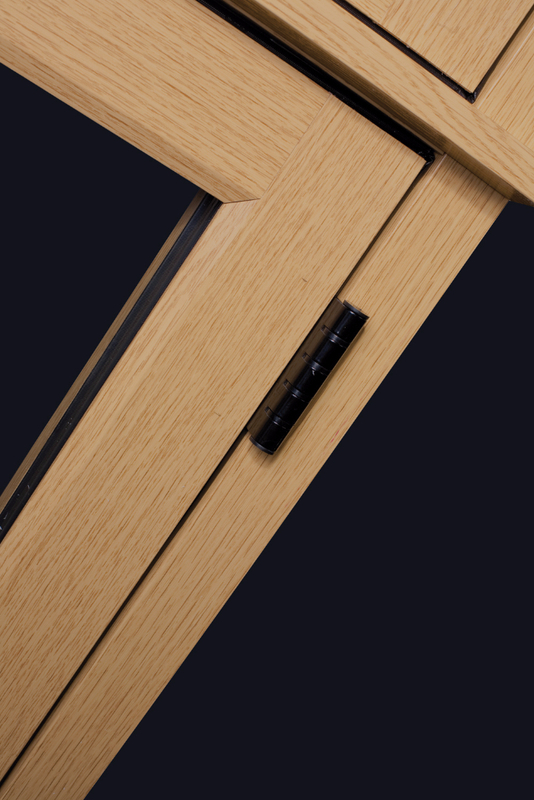 That�s why we offer different colour finishes that can be added to the inside or outside of conservatory faces. Ten different varieties are available. Whether you prefer the classic warm feeling of our golden oak or the more vivacious cherry wood, the choice is completely yours for the picking. 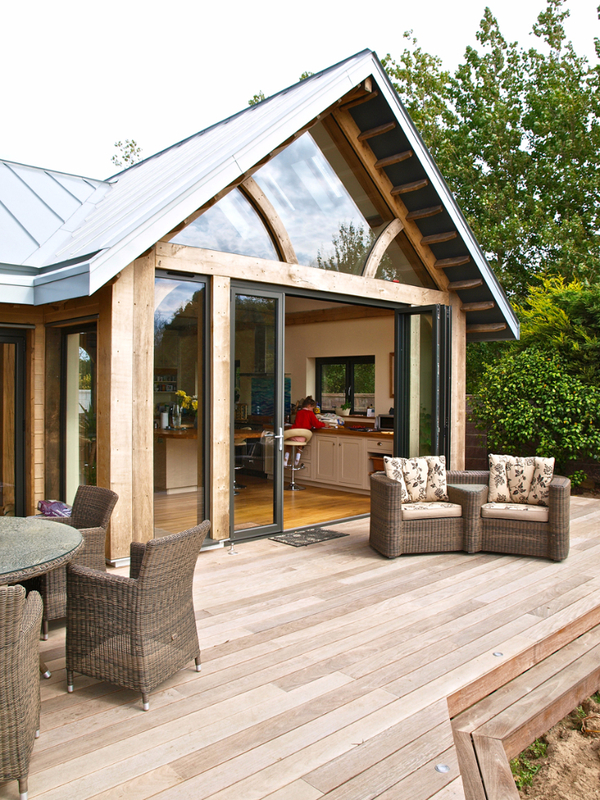 Simple frameworks provide a firm construction to produce a more open and spacious design. 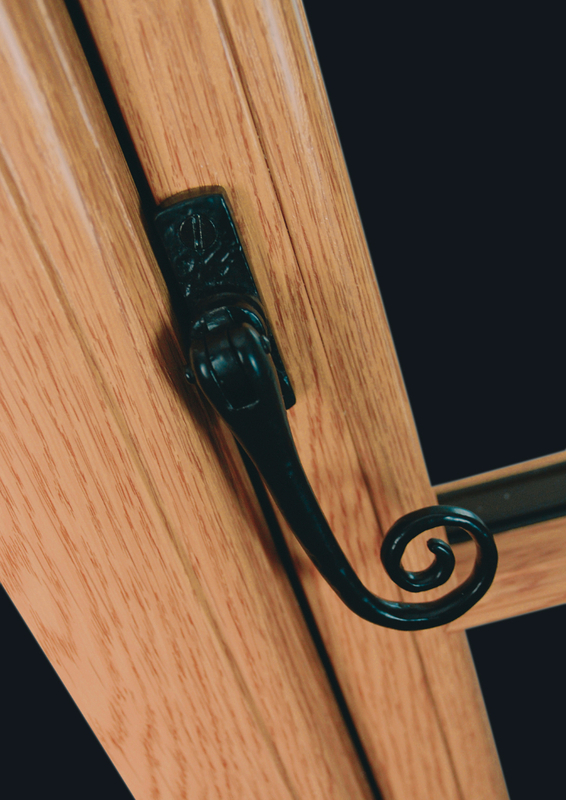 That�s why we choose the single bolt design that is internally fastened within easy reach. No ladder is necessary. 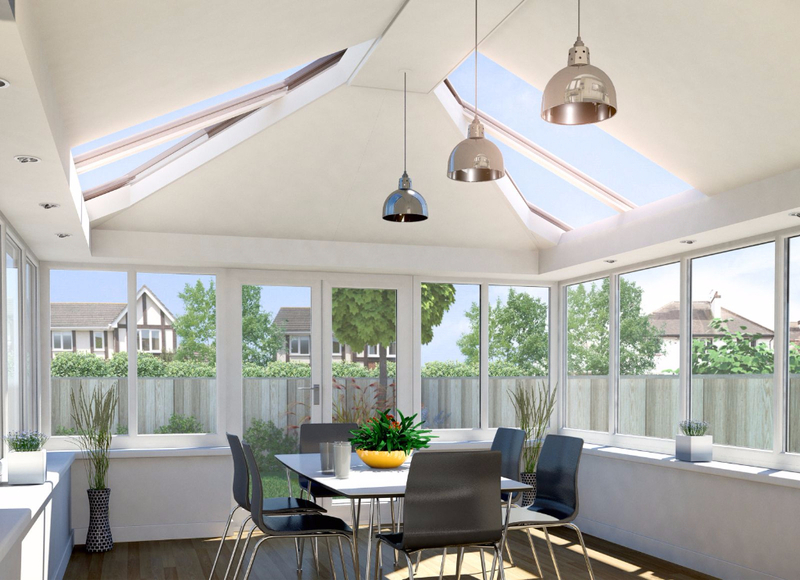 Most other systems depend on a top-fitted conservatory roof system which makes it more difficult to align and requires a slow, laborious effort. 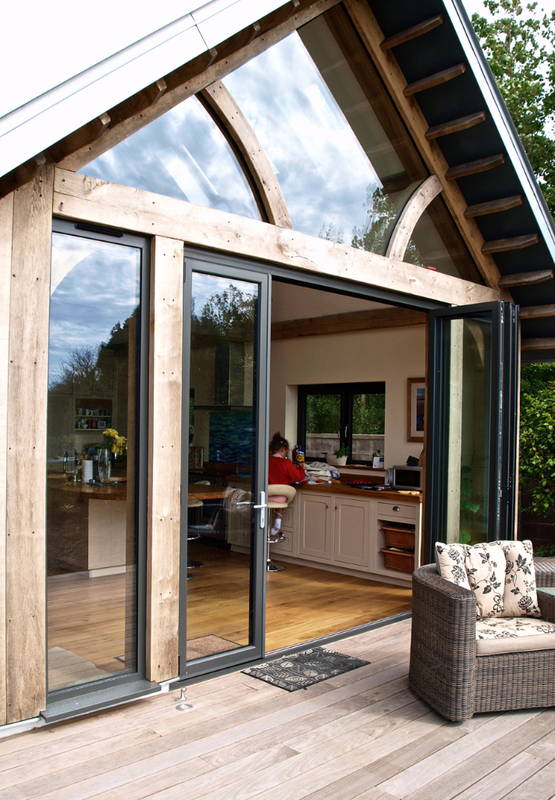 The style of the conservatory windows or doors can be changed with the easy removal of the eaves beam internal cladding. 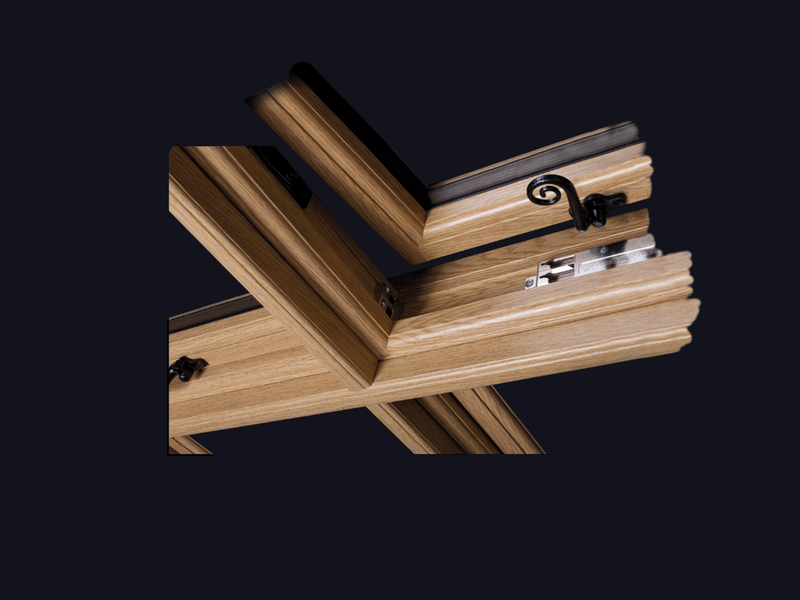 Your options include both the chamfered or contoured ovolo profile. 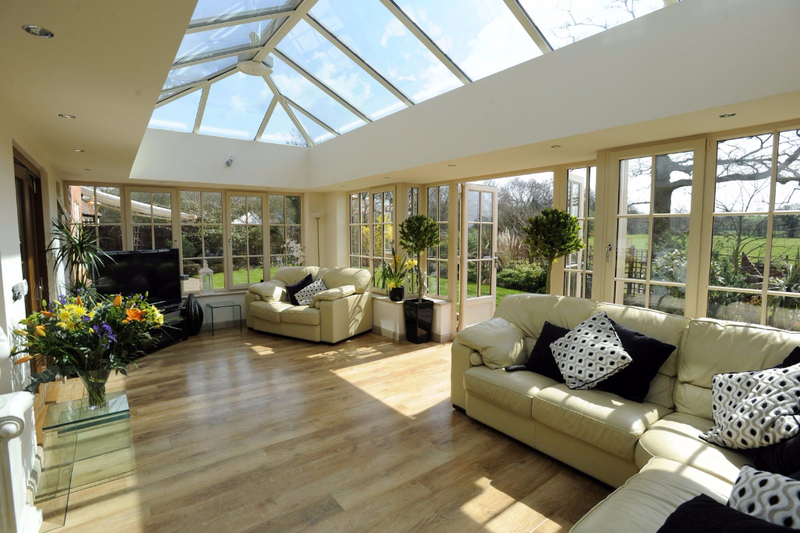 Conservatories in Brighton must be able to withstand winter and summer conditions. This is why the cornerstone of our projects is our unrivaled strength. We use aluminum roof top cappings to prevent damage under extreme temperatures. Extreme summer heat can cause warping and distortions. 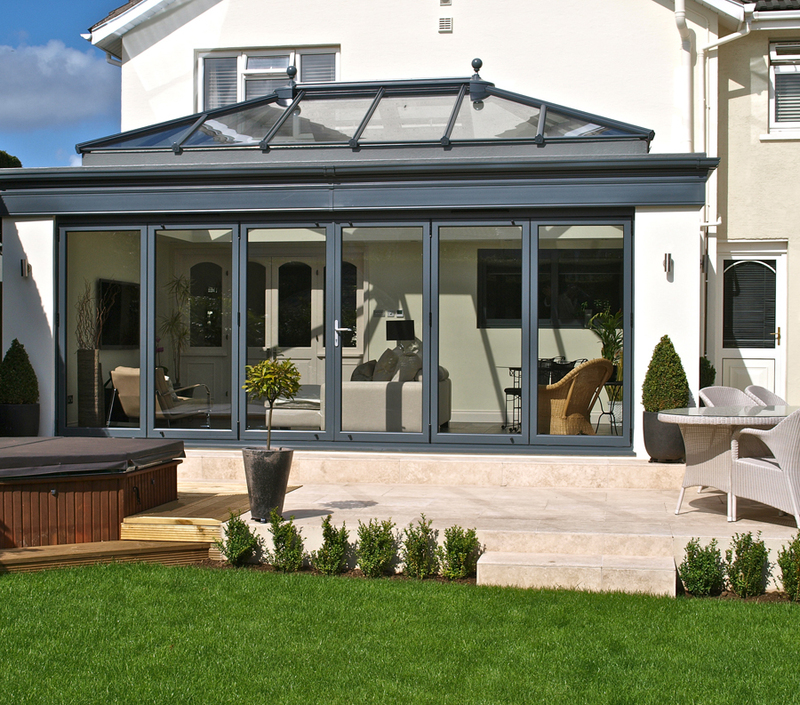 Keeping this in mind, all of our conservatories in Brighton are built to withstand the highest of summer temperatures. 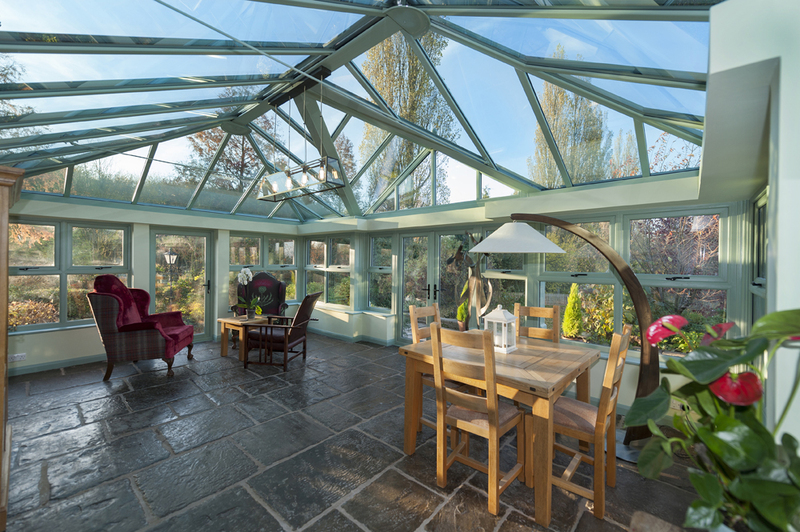 Cold winters cause conservatories to split. In order to combat this, we use high strength rafters that are able to hold a large amount of weight without weakening the structural design. 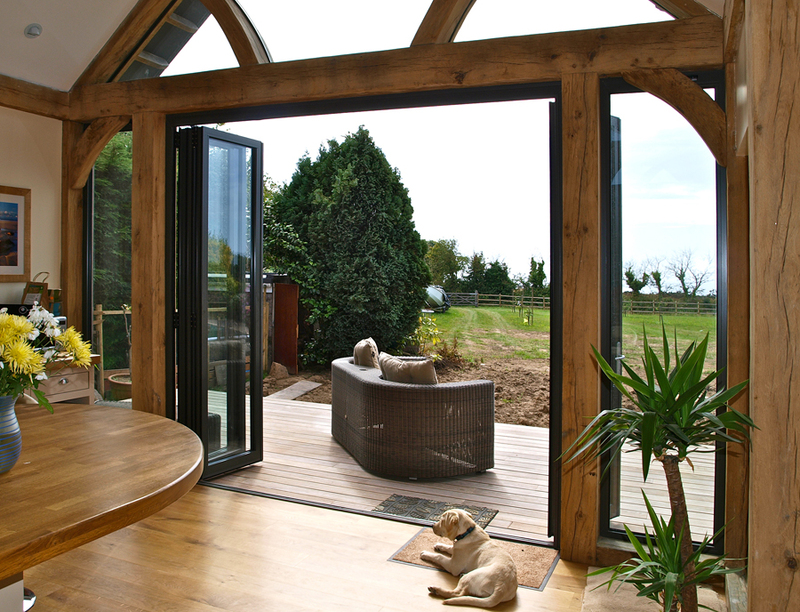 When building conservatories, Brighton Trade Windows pulls out all the stops. We have 20 fully trained and experienced staff members who know what it takes to get the job done. 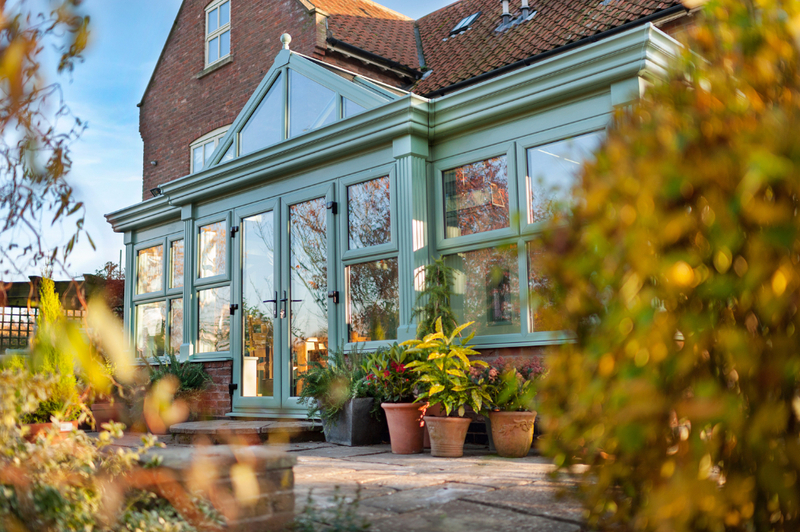 Our team of fabricators, fitters, and surveyors will take care of any and all of your custom conservatory needs. 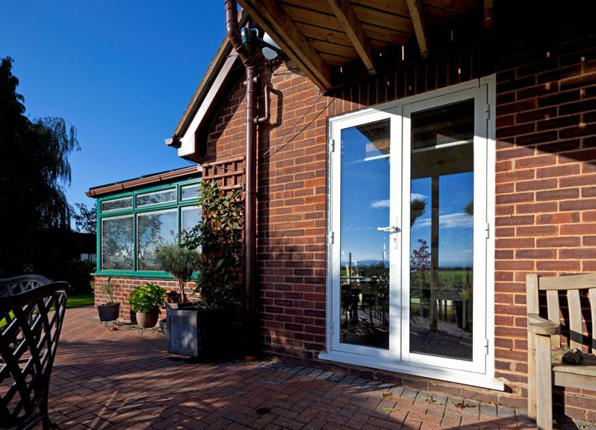 If you’re interested in our conservatories Brighton services, contact us today, or to view our full range of home improvement services, visit us online. Anyone who lives in Brighton will tell you it�s a great place to live. It�s a beautiful coastal town with a traditional pier and a buzzing, vibrant social scene. But Brighton is also known for its windy, damp weather during the winter, and now the nights are drawing in and the days are getting colder, a draughty house can be a real problem. Rattling windows, cold gusts of wind, heat loss and condensation are just a few of the problems you have to face with old, weather-worn windows. 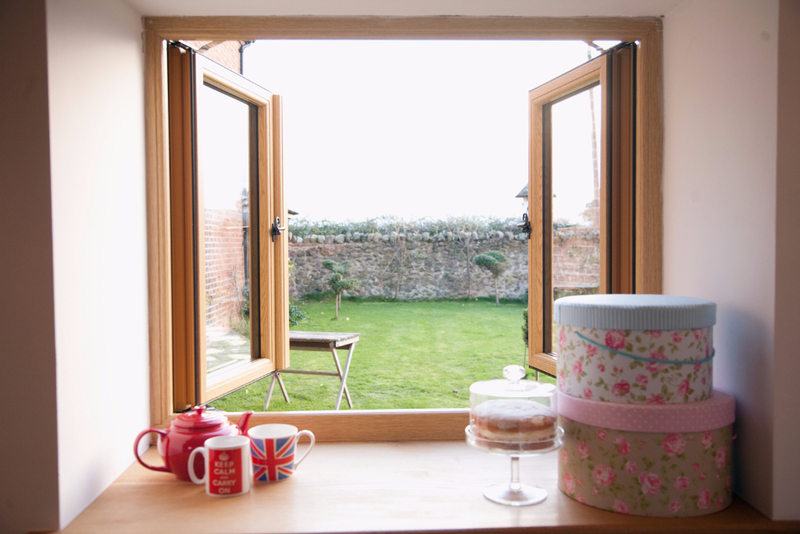 Approximately 30% of a home�s heat is lost through draughty windows, especially sash windows, commonly seen in period properties around Brighton. But many residents prefer to �make do and mend� rather than call in a professional window repair specialist. Here�s a few examples of DIY attempts to keep the cold and draughts at bay. Foam padding stuffed into the gaps and crevices. Rice-filled draught excluders laid along window ledges. Cotton balls stuffed into sash window gaps. Bubble wrap and plastic taped around the inner window frames. Clear insulation film that sticks to the glass panes much like the transparent film you stick to your mobile phone. Shrink wrap which needs treating with a hot hairdryer to remove the glue once the cold season is over. Electrical tape, masking tape and even parcel wrapping tape. A pair of screwdrivers inserted into the vertical gap to stop the sash window from falling down. Aluminium foil placed over radiators to bounce the heat back into the room to prevent it from escaping through the windows. Heavy curtains closed to keep the heat in. Some of these measures may be effective in the short term, but none of them are a permanent solution. Also consider, you want to keep warm, but you also want an attractive, pleasant environment. Bubble wrap, tape, foam and cotton balls not only look ugly, but they prevent you from opening the windows, rice-filled draught excluders will absorb moisture and turn mouldy after some time and heavy curtains will need to be closed 24/7 to keep out the cold. Attempting to fix your draughty windows in a bid to save money will end up costing you more money in higher energy bills, not to mention exposing your home as an easy target for burglars. A professional window repair specialist will not only solve your draught problems but will also be able to make your windows more secure. For enquiries into�our window repair Brighton services, contact Brighton Trade Windows today, or visit us online for more information. 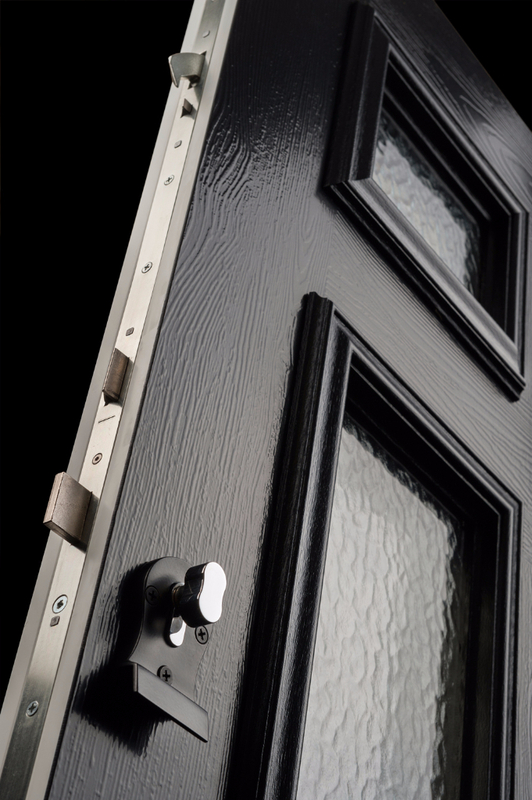 We have many different styles and configurations to suit any and all of your door needs. Our polyamide Euro groove design is unique. It gives you a chance to buy a quality product that not many people have. 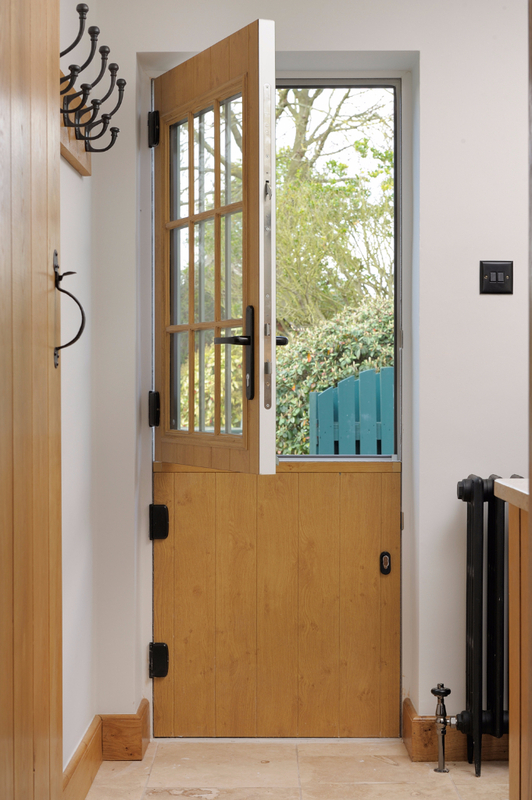 Our aluminium doors in Brighton can be designed to create a picture frame view through your door. 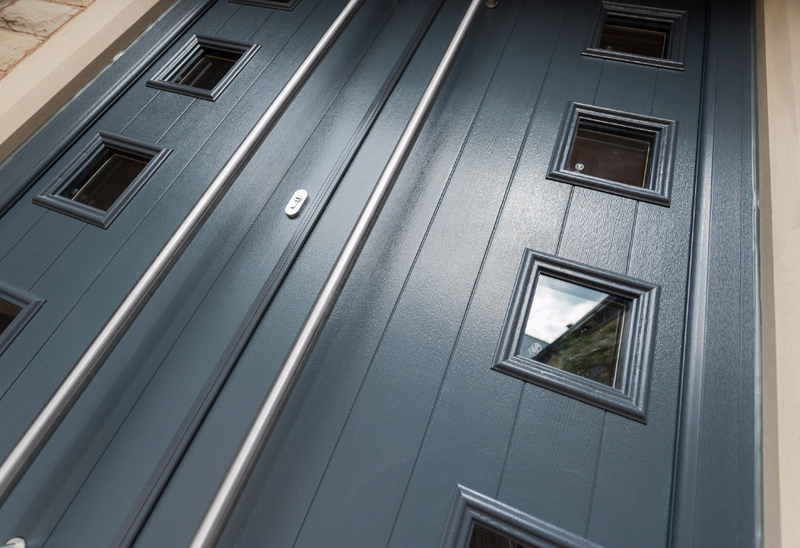 Our aluminium doors in Brighton are designed to incorporate all standard and security hardware. A full range of restrictors and access control devices are easily accepted. 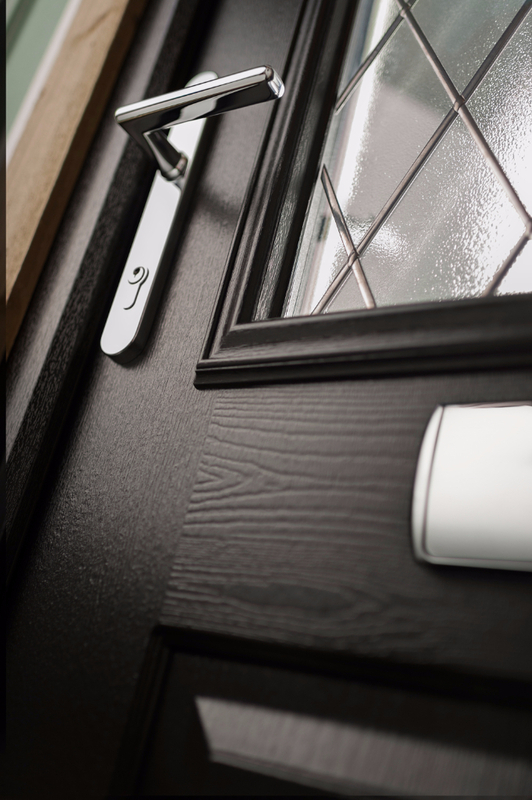 Our standard door options are easily upgraded. 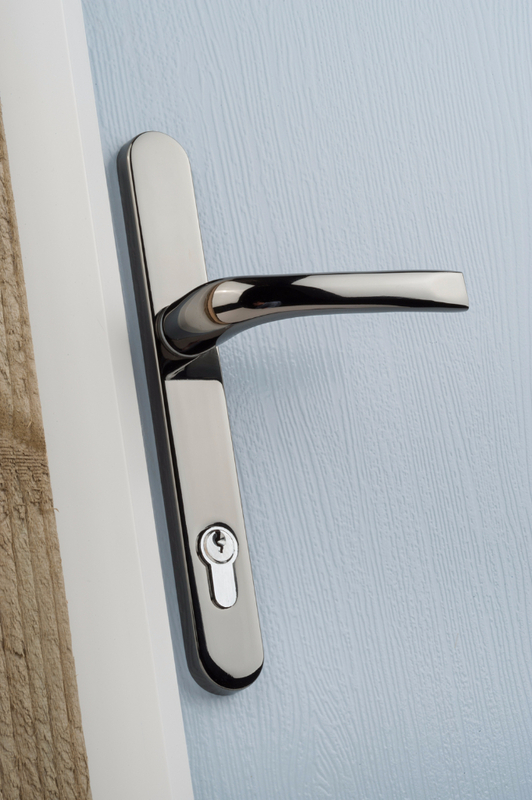 Our aluminium doors in Brighton offer enhanced security with multi point locking systems. 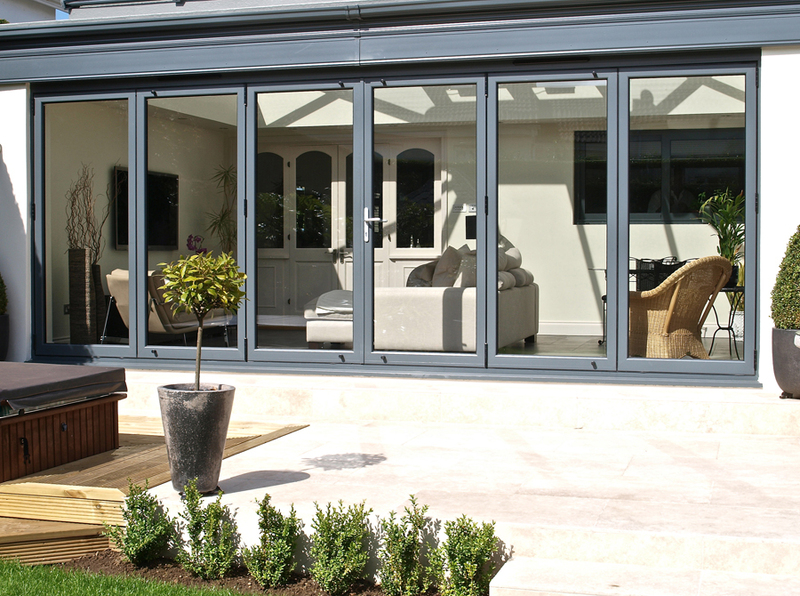 A cloaking feature conceals, locks, and prevents any access to locking points making our aluminium doors in Brighton �Secured by Design� certified. 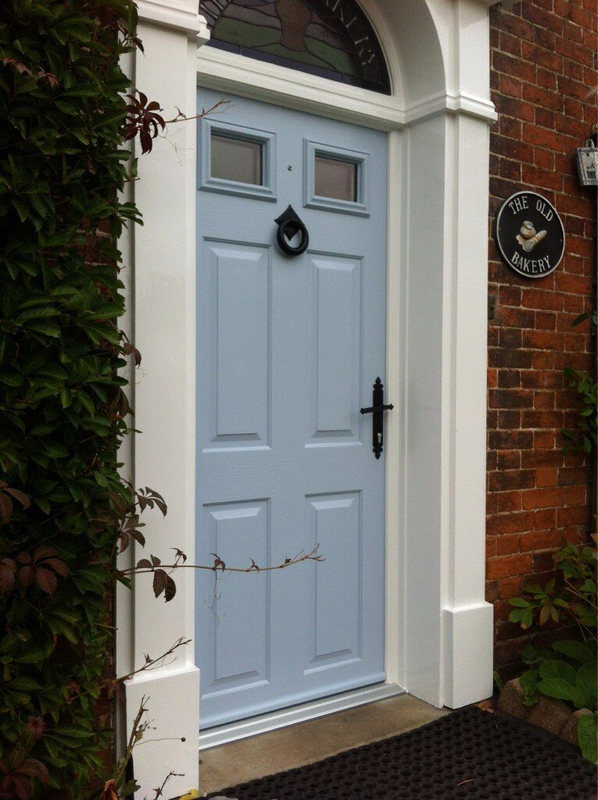 Doors are available in single or dual colour options. Polyester coating and anodised finishes are also available. 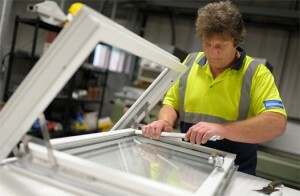 Brighton Trade Windows has completed over 8,000 installations in Brighton. 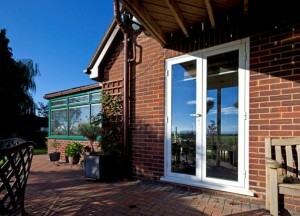 We can advise you on any and all window, door, and conservatory needs. We�d like to invite you to visit our showroom�which is conveniently located in the Woodingdean Business Park. Our office hours are Monday-Friday 8AM-5PM and Saturday from 8AM-11AM, though we are closed on Sundays. 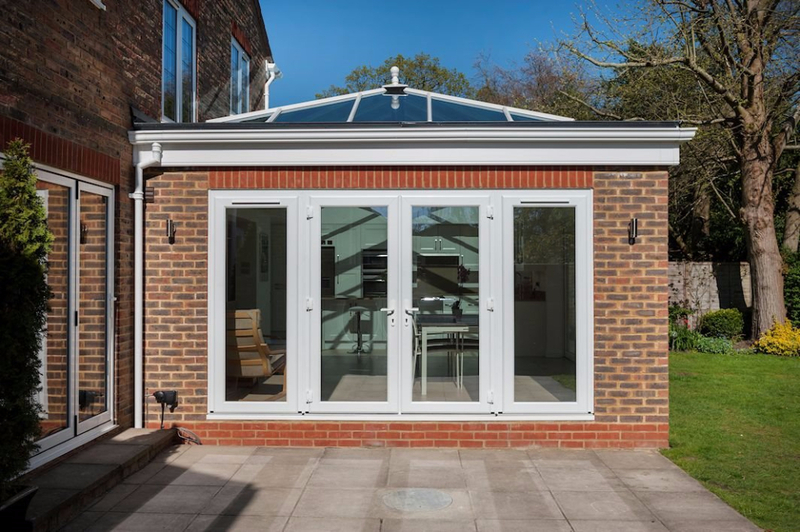 If you�re interested in our aluminium doors Brighton service, contact us today to arrange a call back and/or free quote, or visit us online to view our full range – we�ll gladly help you. �Why is it that many turn their noses up at the idea of aluminium windows? 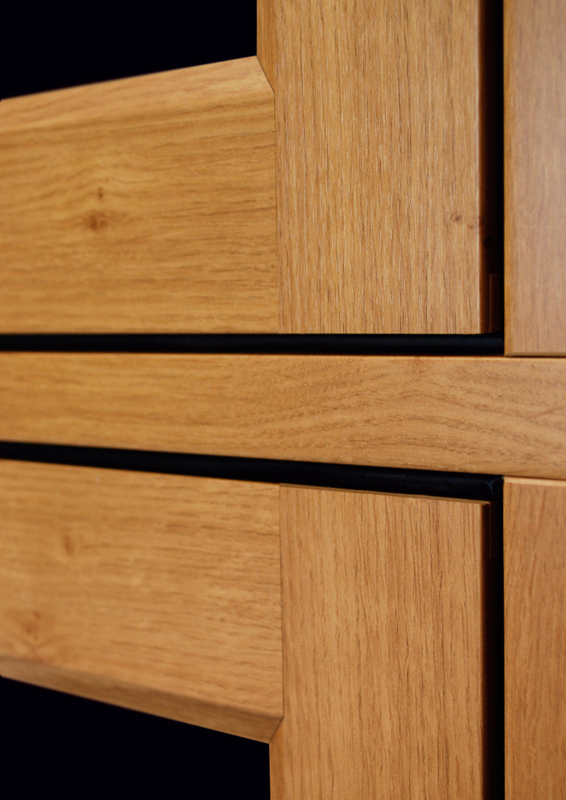 Maybe it�s just that the word �aluminium� doesn�t sound as appealing as heritage oak or timber. However, the truth is that aluminium windows not only look fantastic but also have a range of other benefits over traditional timber frames. You before you turn your nose up, here�s a few good reasons why aluminium windows are the perfect choice for your property, and might just make you change your mind. Let�s start with the look, because that�s what most home owners are concerned about. Many are under the misconception that installing aluminium windows will make their property look like an industrial or commercial building. 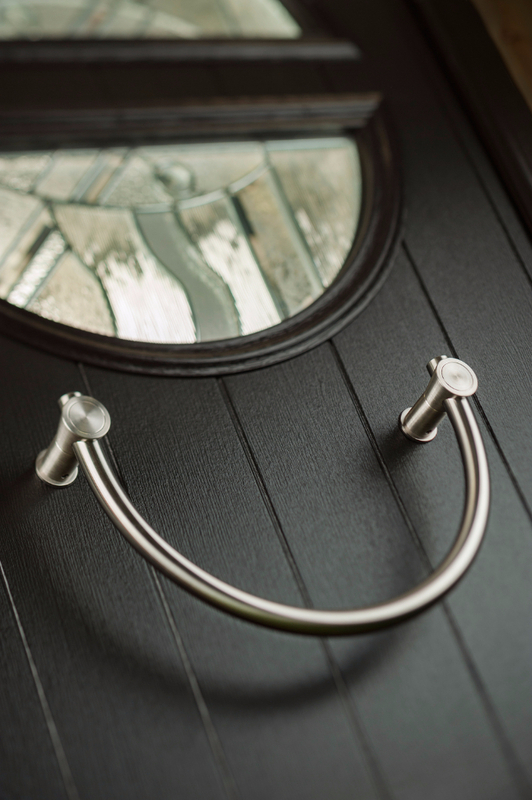 The truth is that aluminium windows are available in a range of finishes so you can find exactly the right look for your home. 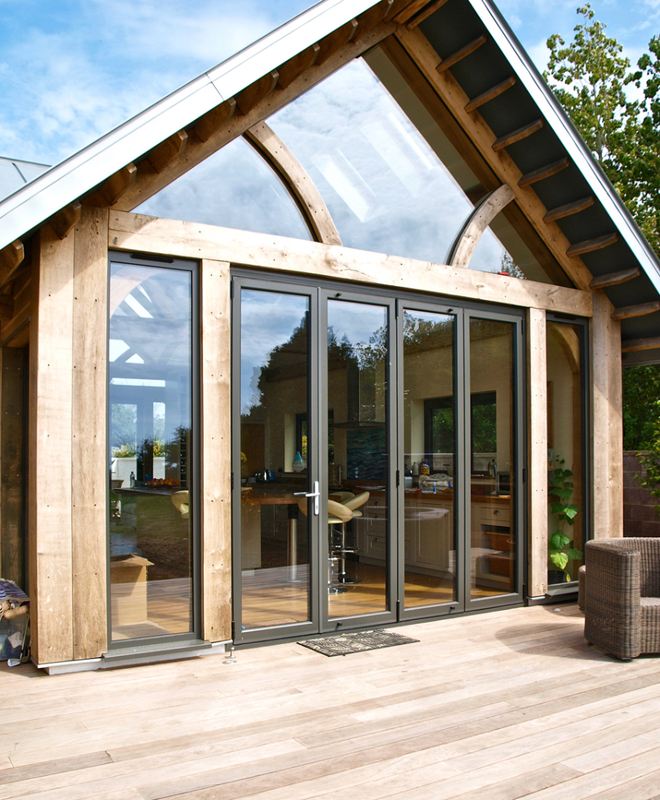 For those who prefer timber, aluminium also comes in a wood-grain finish to replicate the traditional oak look of timber frames. Aluminium is also a popular choice for state-of-the-art contemporary designed buildings and houses that are a mix of traditional and modern features. 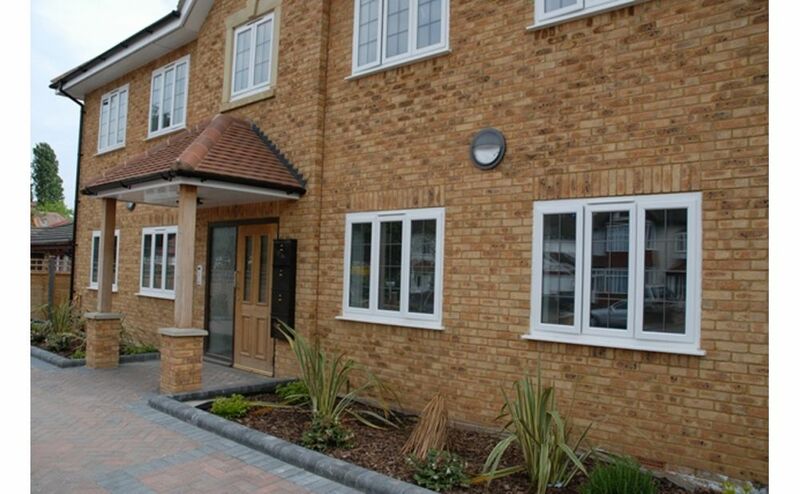 Aluminium windows are a stunning feature often used in forward thinking design aesthetics. 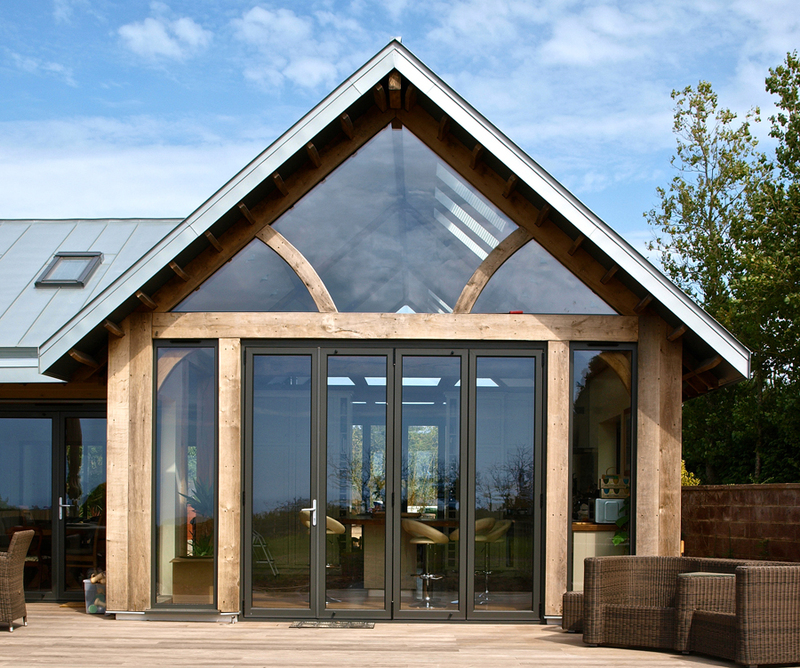 Aluminium frames take window design to another level. 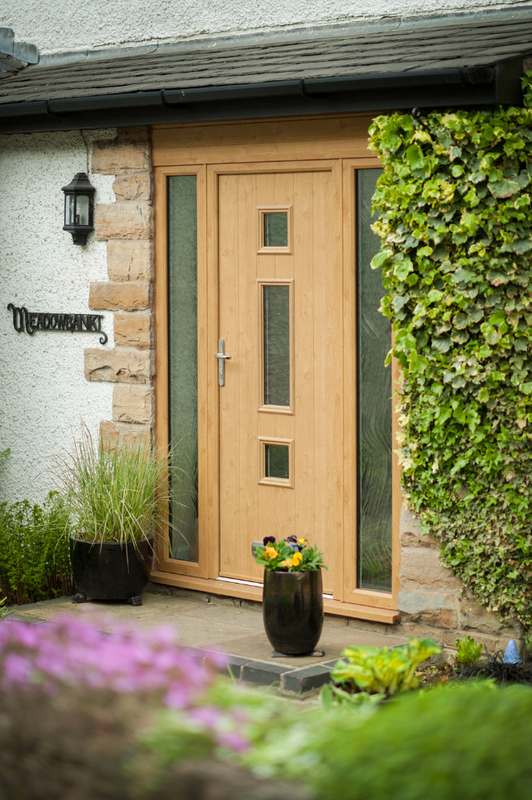 Their versatility, durability and flexibility means they can be designed to practically any specifications you require. 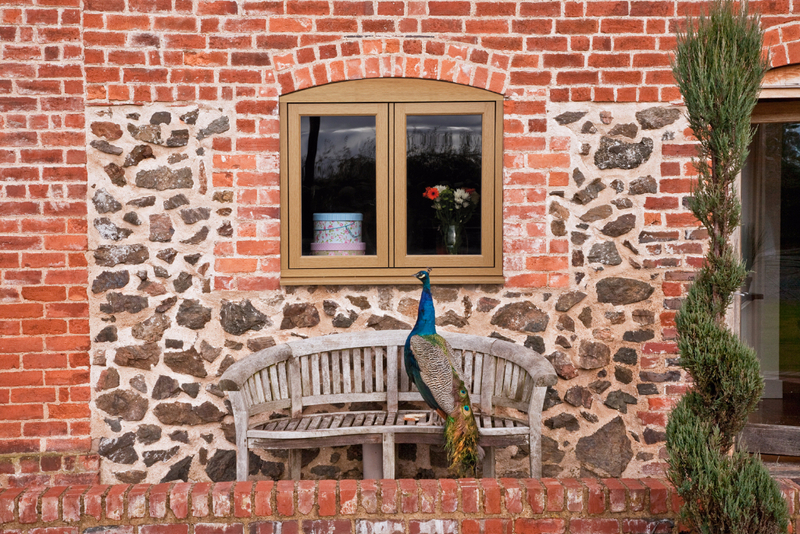 Powder coated finishes give your windows a traditional look without the long standing maintenance issues of timber frames. 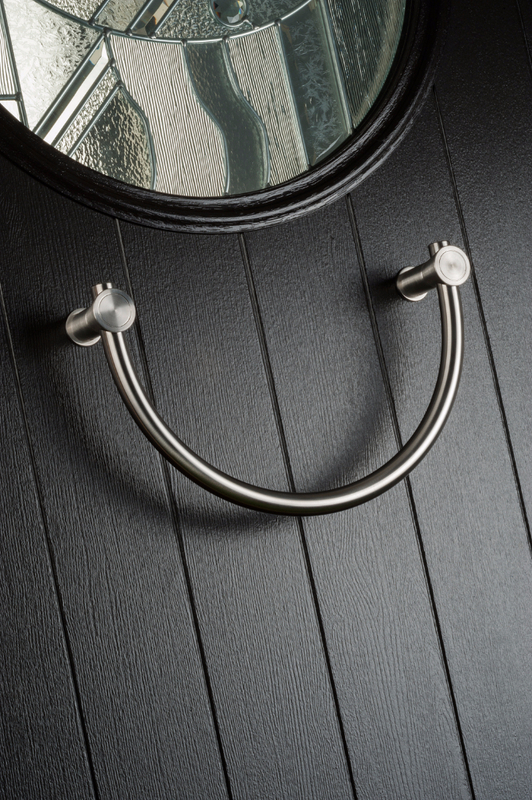 Anodised frames go a step further in protecting your frames from corrosion. They�ll never rust, they are resistant to extreme weather conditions, they�ll never need repainting and cleaning only involves a quick wipe over with a damp cloth. It�s not all about aesthetics. You�ll also need to consider the overall thermal performance and energy efficiency of your new windows. 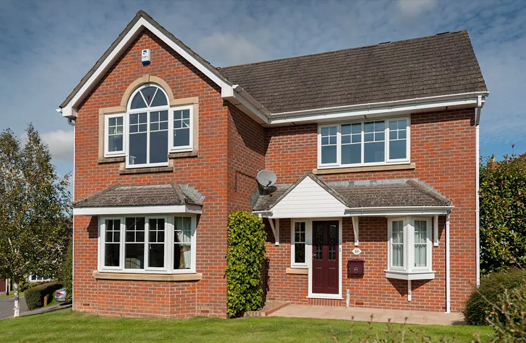 Aluminium windows adapt well to varying outside temperatures and have excellent thermal performance, enhanced by double glazing that cuts down on noise pollution and provides a high level of security protection for your home. 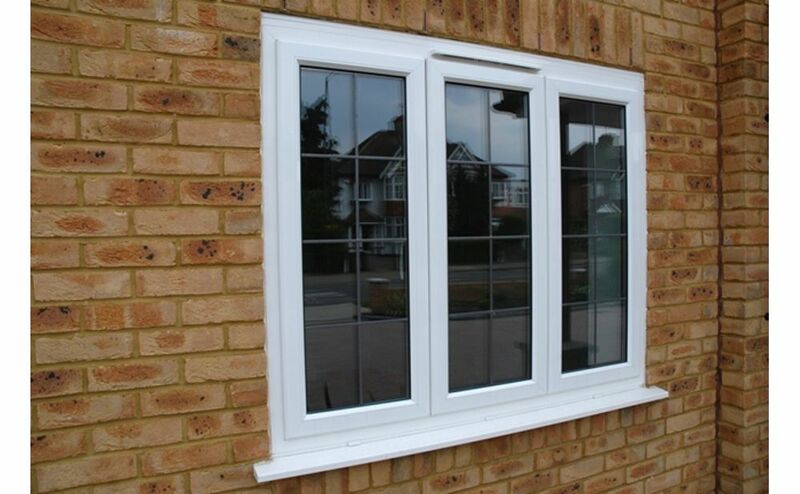 Price wise, aluminium windows are very reasonable. They are perfect for the budget conscious buyer who wants quality and durability at an affordable price. Their excellent thermal efficiency will also help reduce your fuel bills, so will also save you money in the long term. 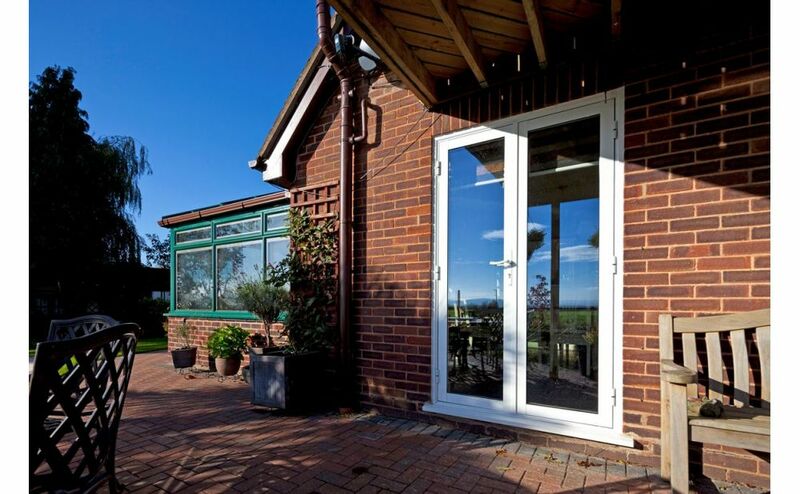 For more information and advice on our range of aluminium windows Brighton, contact Brighton Trade Windows today. 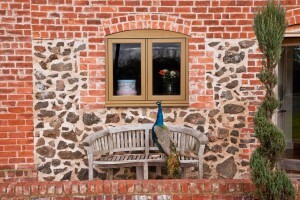 Replacement Windows – Do You Need Planning Permission? 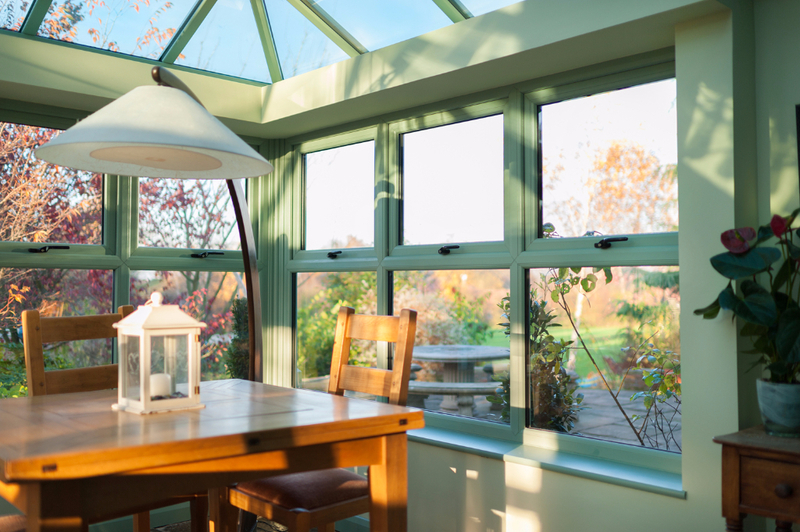 There are a number of reasons why you may choose to replace the windows in your property: for a fresher look, as part of a renovating project, to make your home more energy efficient or to improve your home security. However, depending on the planning constraints of your property, you may or may not need planning permission for subsequent replacements. Here�s a brief guide for what you need to know. Most houses won�t need planning permission for replacement windows as they are covered under a property�s Permitted Development Rights. Permitted changes include minor repairs, general maintenance and repainting. Replacements must be of a similar appearance to the original windows you�re replacing. 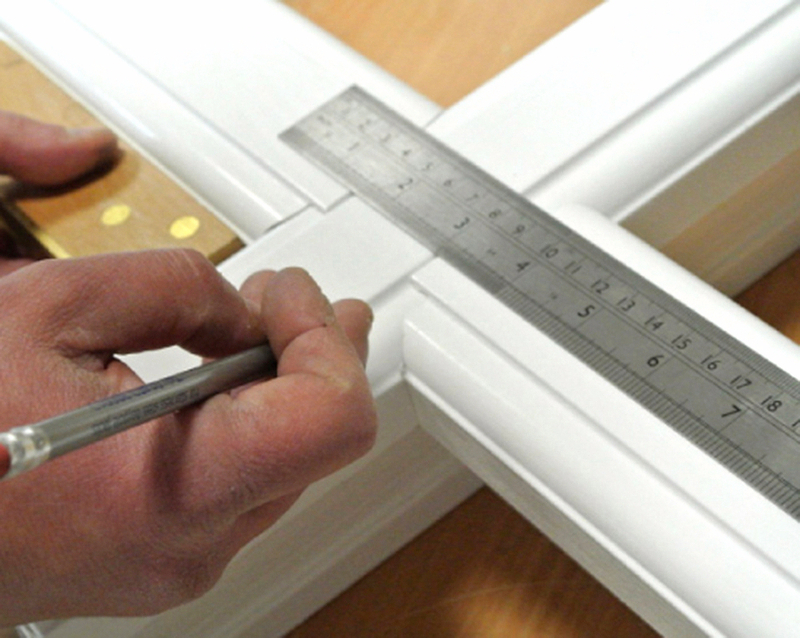 For example, if you want to install a new bay window, it will be considered an extension and you may need permission. Upper floor windows inserted into the side walls must be obscure-glazed and non-opening if they are less than 1.7 metres above floor level. Skylights don�t usually need special permission as long as they don�t protrude more than 150 mm out from the slope of the roof and they are not higher than the highest point of the roof. Planning permission to replace windows will be needed if your council withdraws Permitted Development Rights under the Article 4 Direction, an act applied by the local planning authority to conservation areas under their jurisdiction. Listed buildings will need both planning permission and Listed Building Consent. To preserve the original character, replacement windows must replicate the original ones. This includes openings, fixtures and authentic detailing to ensure the special interest of the building is maintained. 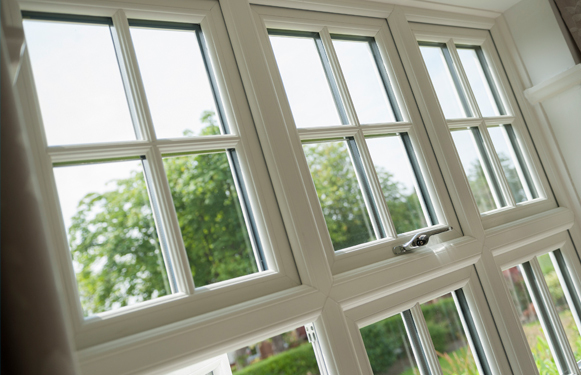 In order to comply with thermal insulation standards, replacement windows will usually need to be double glazed. 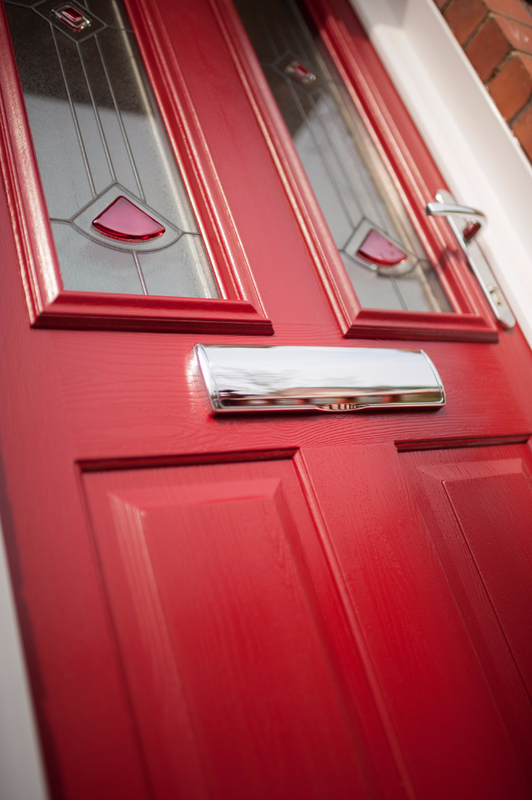 Replacement windows must match those of neighbouring properties such as terraced houses. A house that�s being converted into multiple flats must have identically styled windows throughout the property. All windows must be equipped with safety standard, unobtrusive security locks. Brighton and Hove Council have strict regulations for replacing windows in certain areas. If you�re not sure whether you need permission or not, always check before starting any building works. 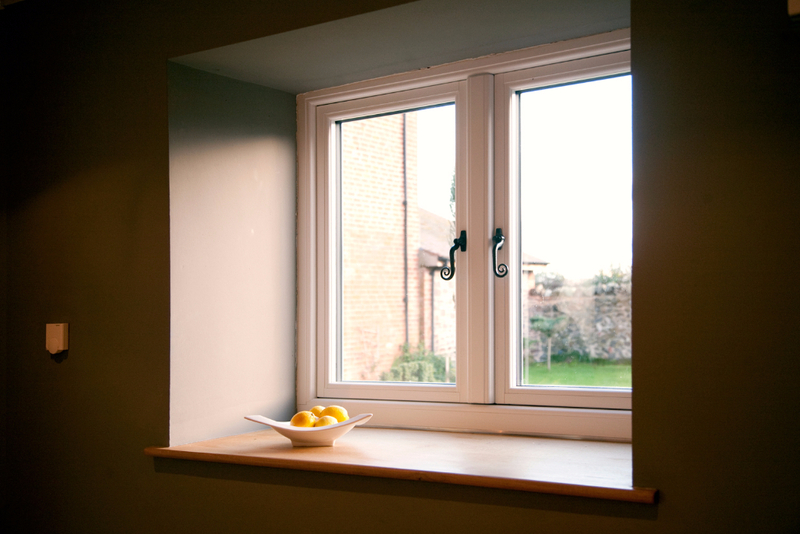 For more information on our window replacement Brighton services, including Residence 9 windows specifically designed for period properties and conservation areas, contact Brighton Trade Windows today, or visit us online to view our full range of products. 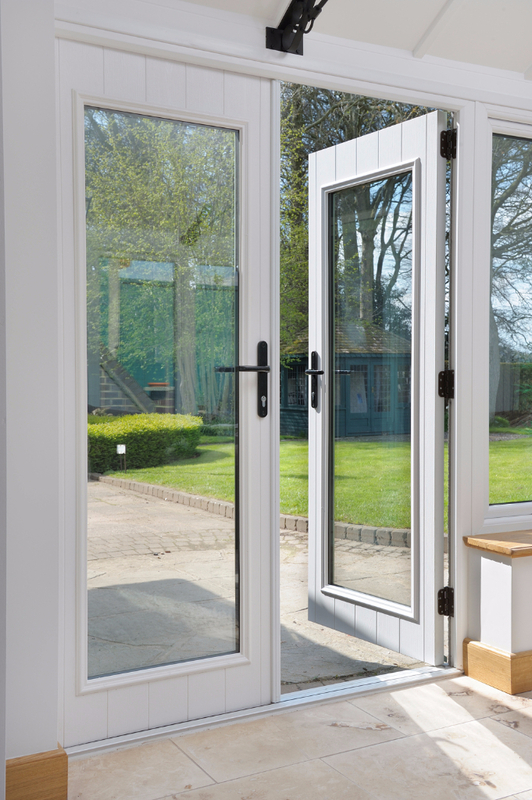 Patio doors are the perfect way for adding natural light to your rooms, creating a sense of space and uniting your outdoor areas with your interiors in a seamless flow. 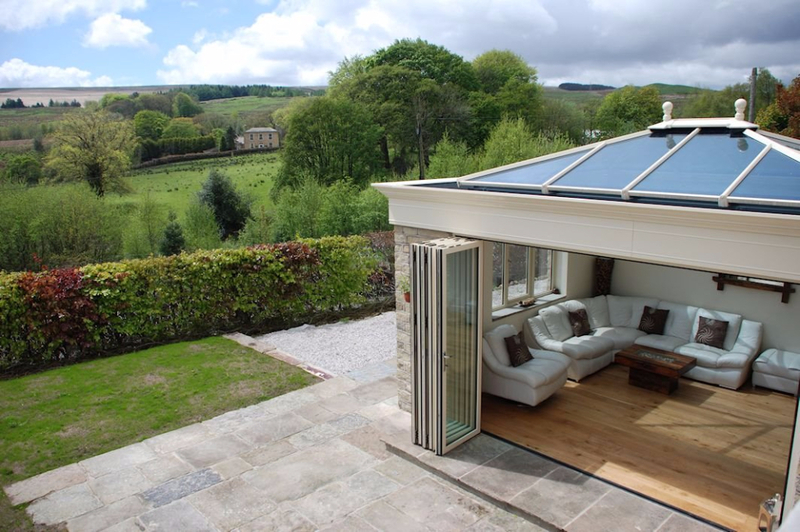 Patio doors can be added to your lounge or dining room, the kitchen and to balcony and terrace areas. 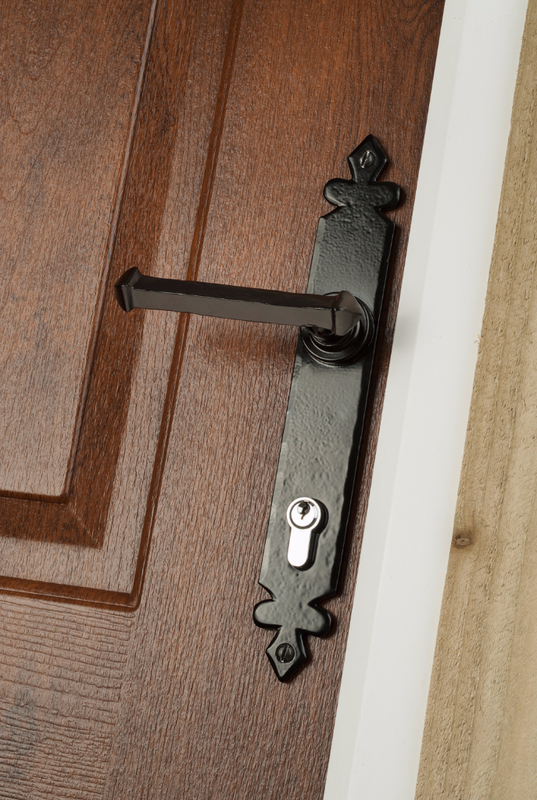 They are also often used as a front door in contemporary designed homes. 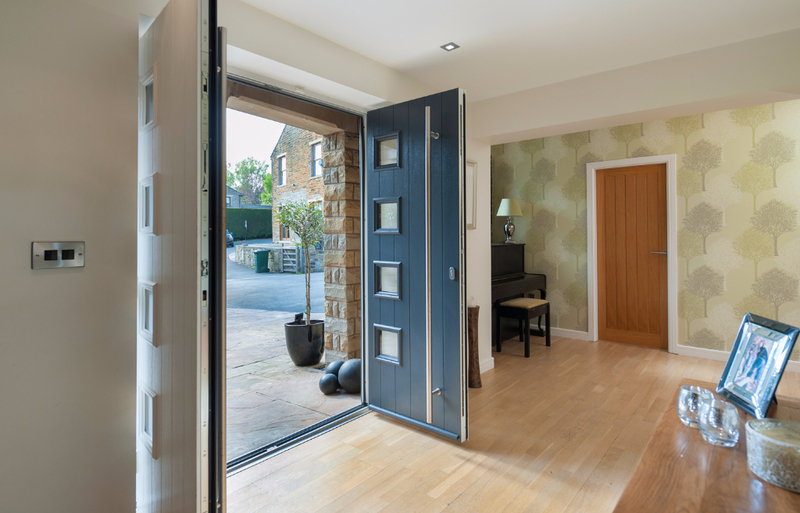 Whether you choose sliding, swing, bi-fold or French doors, it�s important that you make the right choice to complement the style and period of your property. 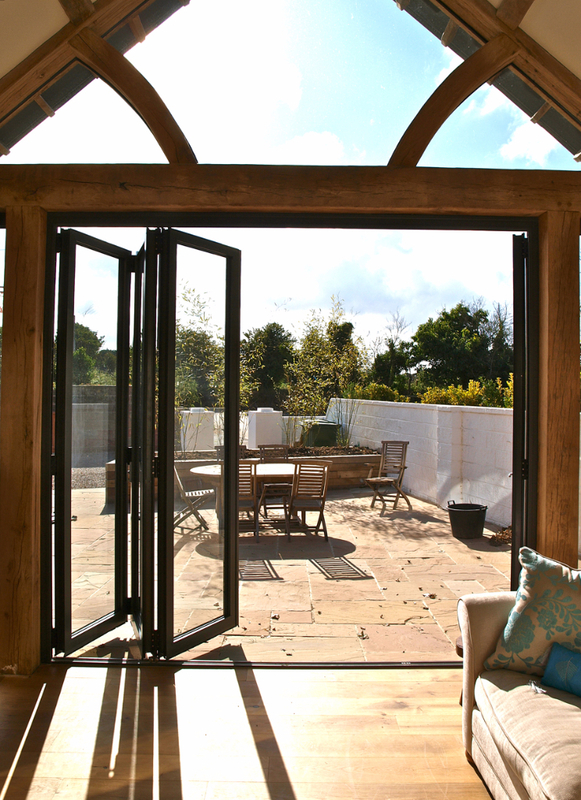 Here�s a look at what to consider when choosing patio doors for your home. 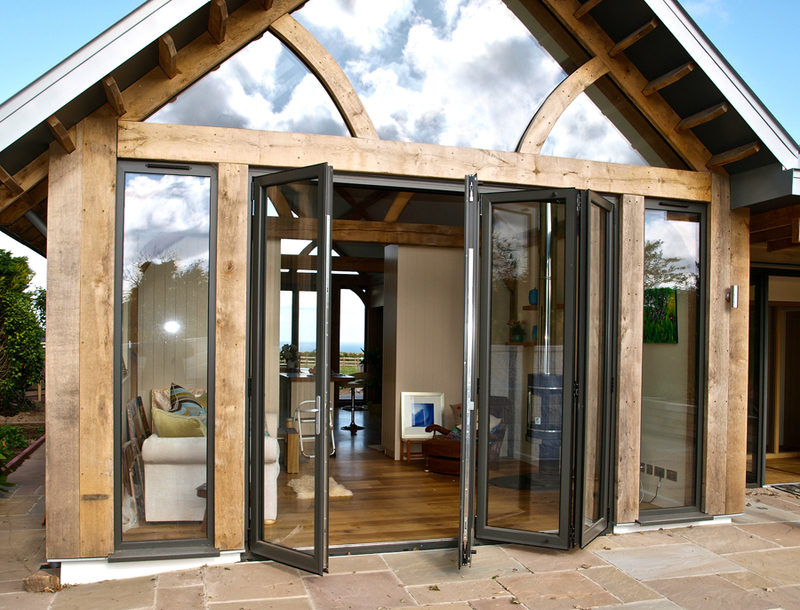 Patio doors can instantly add natural light and space to your home. They can totally transform darker rooms without having to spend a fortune. 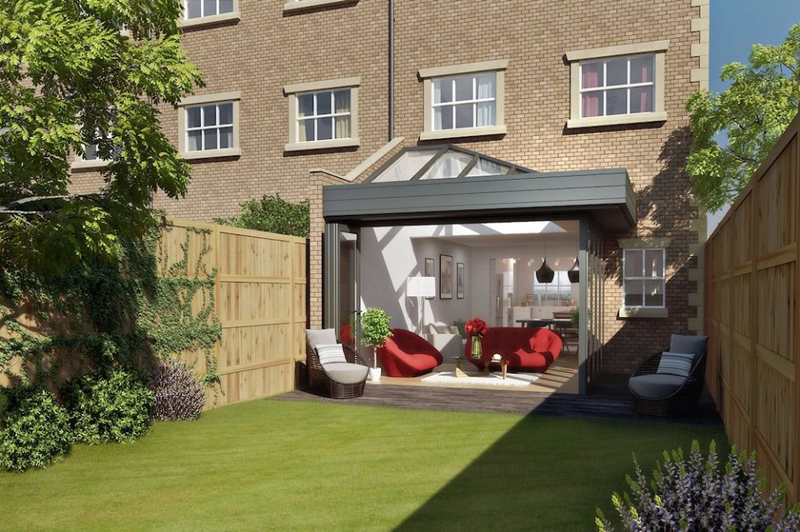 You can enjoy your garden views and outdoor areas all year round while benefitting from modern features including greater energy efficiency and a higher level of security. Swing opening and French doors need space to open properly without banging against furniture or being constricted by inner walls. Ensure that the wall space is sufficient so they can be fully opened. 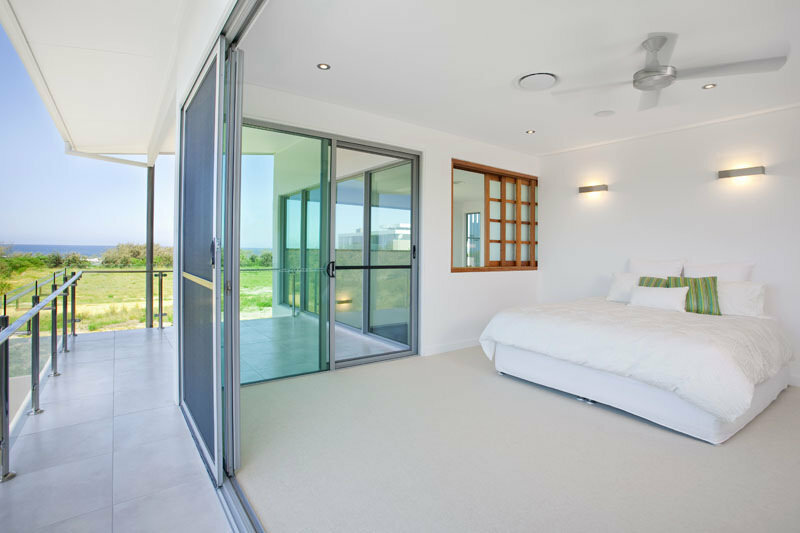 If space is minimal or cumbersome, sliding doors are an ideal solution. They can be easily installed without being intrusive, in whatever size of space you have. 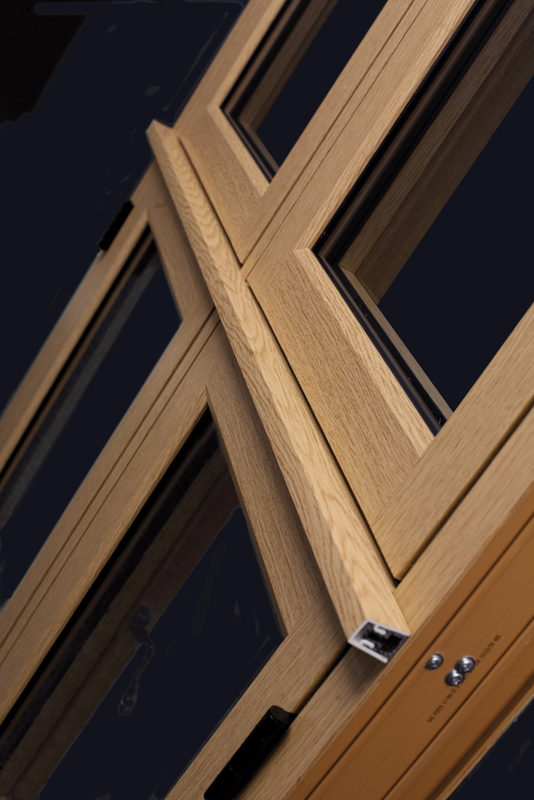 Modern double glazed panes have excellent thermal and weatherproof properties helping to reduce energy bills. They also protect your interior flooring and furniture from UV damage. 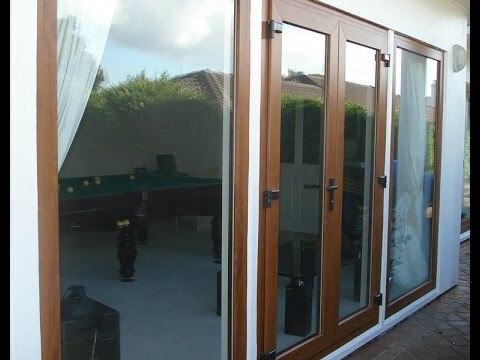 Toughened glass and modern locking systems provide a high level of security to deter intruders. 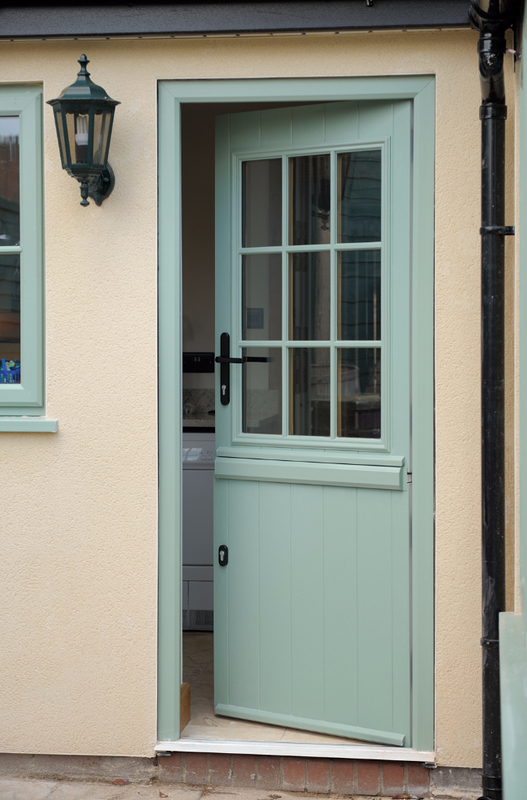 Wooden framed French doors are beautiful however they are high maintenance and prone to shrinking so will need regular coats of paint to prevent sun and moisture damage. 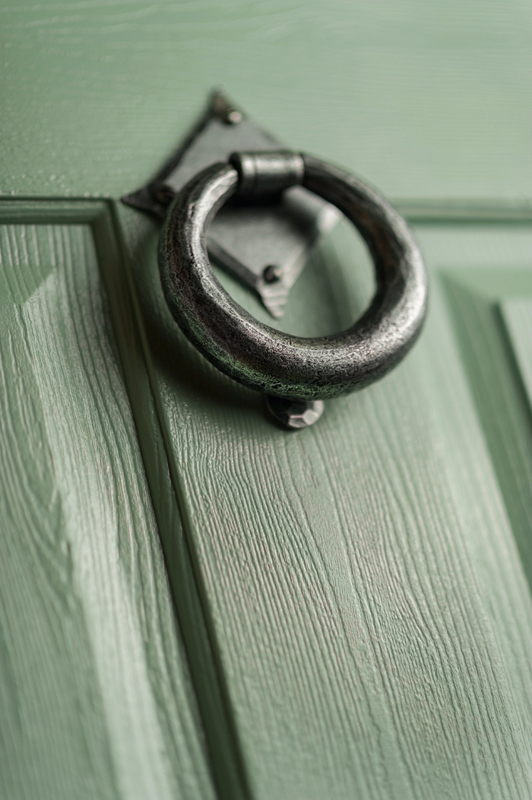 Opt for a durable material that�s easy to look after and clean. 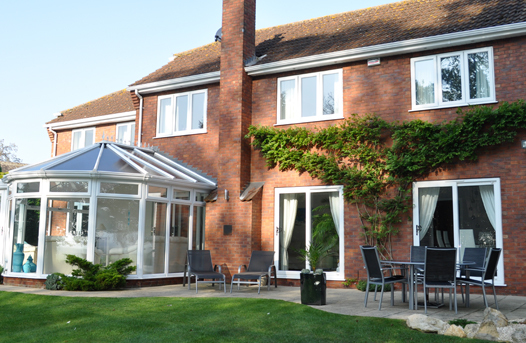 UPVC and aluminium frames are easy to clean, require little or no maintenance and will never need repainting. For an authentic wood look, wood grain effect foil finishes have all the benefits of UPVC and aluminium while offering a wood look so realistic that it�s hard to tell the difference. 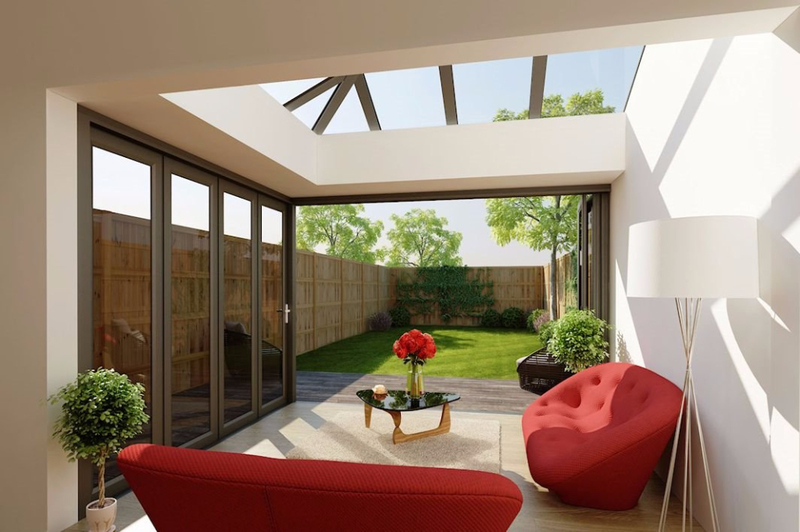 Brighton Trade Windows have a stunning range of sliding doors, swing and bi-fold patio doors in various colours and designs that will bring the outdoors in while adding style and beauty to your home. 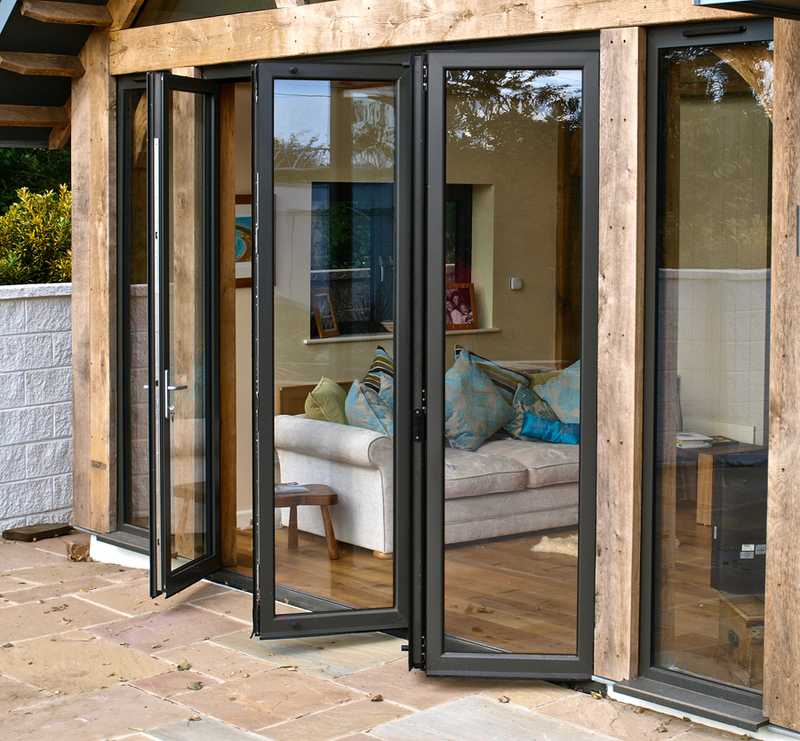 If you�d like help on choosing the right patio doors for your property, then contact us today or come and visit our showroom in Brighton.